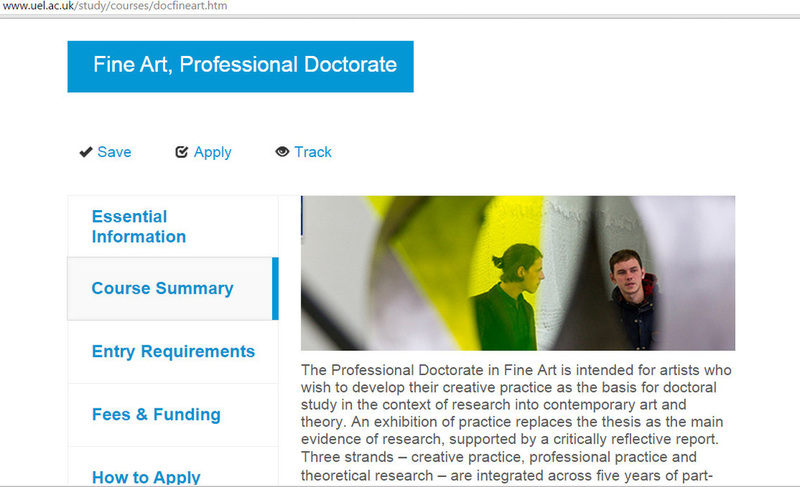 The DFA of UEL is the largest and most long-standing Professional Doctorate in Fine Art in the UK. ​The group culture and the centralised structure of the programme are unique. The DFA is the largest and most long-standing Professional Doctorate in Fine Art in the UK. Theoretical and contemporary art research is at all times in the service of creative practice., For more information about the , go to UEL Prof. Doc. Fine Art website.